Home » Blog » Insects » Cockroaches » Pest Control: How to get rid of Cockroaches? Pest Control: How to get rid of Cockroaches? How do I get rid of cockroaches? The first thing you need to establish is that there two distinctive cockroach species you will encounter. There is a small flat-back species known as the German cockroach. These are generally light brown in colour. There is the larger slightly round back species known as the American cockroach. They are generally reddish brown in colour. Eco-Smart Pest Control has extensive experience with eliminating both species should they have infested your home. Both species are known for the harmful effect on you and your family’s health. They spread diseases such gastroenteritis. This could let you visit the men’s or ladies room more than you really want to. Think of the little ones always playing on the floor while you are cooking. Their toys end up in their mouths 95% of the time. Now imagine what they will go through should they get ill. Think of the night time bottles you need to make not knowing if cockroaches have run over and left their germs on the teats. Gastroenteritis: When you have diarrhoea (running stomach) and vomiting, you can say that you have the “Stomach Flu”. Dysentery: Inflammation or swelling of the intestines accompanied by bloody diarrhoea. Remember everything in life evolves and cockroaches evolve too. They tend to build up resistance to the normal chemicals and insect sprays you use in and around your home. How do I get rid of cockroaches? 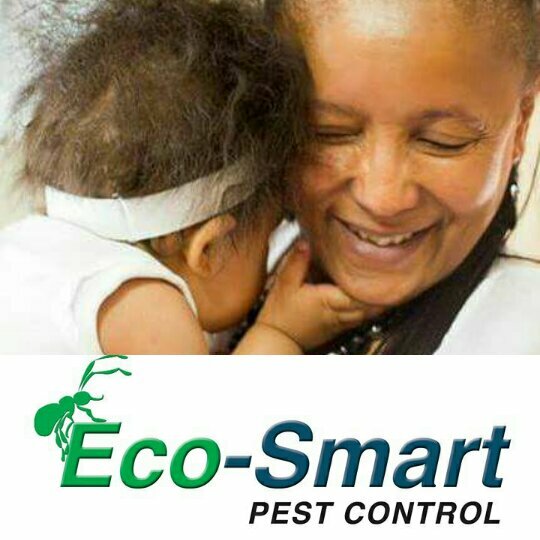 Eco-Smart Pest Control will give you some DIY tips. Contact a professional Pest Control Agent. Don’t wait for an infestation to happen before acting and protecting your family.